For people who have some investable funds and are looking at parking them in a profitable avenue must definitely consider exploring a Systematic Investment Plan. A Systematic Investment Plan or SIP, not only helps inculcate the habit to save, but it also makes sure that investors accumulate small amounts of funds periodically to reap greater benefits in future. An online SIP investment is flexible and is managed by a professional team. Each time you invest a certain amount of money, more units of the scheme are purchased. It is to be noted that the benefit of investing in a Systematic Investment Plan is that when the price is high, less units are purchased, whereas when the price is low, more units are bought; thus leading to a favorable average cost. Again, people who wish to invest in any market instrument, especially SIP plans, must start early to get greater benefits in the later stage. Investments like SIP investments are usually done over a long-term time horizon. The good news is that, maintaining SIP plans in India requires minimal involvement as it is managed and controlled by a group of experienced personnel. Let us now look at some benefits of an online SIP purchase, and understand why an online SIP investment is eventually gaining popularity in the investment market! 1. You need not have huge amounts of funds in order to start investing in a Systematic Investment Plan. Some plans require as less as Rs. 500. 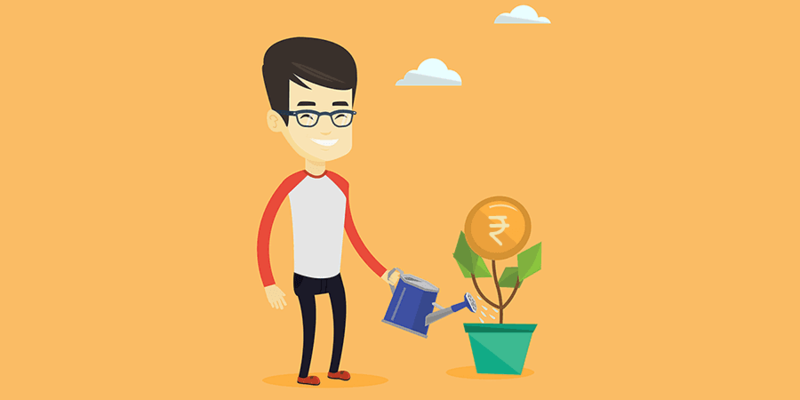 Thus, for people who have limited funds, SIP plans are a great market instrument to invest in. 2. In case you are someone who does not want to be involved with managing his or her investment and wants to take a back seat, Systematic Investment Plan is for you. As far as transferring the fund is concerned, all you need to do is give your Bank a standing instruction. Your account will be debited by a certain amount every month. Now, in case you are wondering whether you will have to monitor the market, then that is exactly the opposite of what you will have to do. Your funds will be managed by a group of professionals. 3. SIP plans in India are extremely flexible, and ensure gains in the long run. 4. SIP plans are not as vulnerable to market fluctuations as the other market instruments. 5. Power of compounding and Rupee Cost Averaging are two wonders that help you get benefits in future. 6. Online SIP investment acts as a definite cushion in case of emergencies. Investing in Systematic Investment Plan is always not all that easy. There are some mistakes that people make when they get started. Let us look at these common errors so as to keep away from them. 1. People tend to choose the wrong investment amount. You need to be realistic when you are deciding how much you want to give away each month. This depends on your earning, your growth trajectory and your life cycle. Be realistic so that you can maintain this online SIP investment in the long run. 2. Keep in mind that the amount you invest should not only be realistic but it should also increase over time. 3. Do not be the person who does not consider the risks associated with a particular fund. You need to look at past performance and vulnerability of a fund before you decide on it. 4. The kind of fund must be chosen with care. You must ascertain what your goals are and how wiling are you to take risks. There are different funds in the market and their propensity to fluctuate is different. Make sure that the fund you choose is in line with your requirements. You might as well undergo a thorough SIP calculation. 5. Remember that diversification is good but there needs to be a limit to that as well. Choose SIP schemes tactfully and stick to them instead of investing randomly. 6. Always remember that a Systematic Investment Plan is most beneficial when done for a long period. People invest in it for a month or so and end up losing money. 7. The best way to not lose out on your peace of mind is to simply invest without getting involved. Since an SIP is done keeping in mind the longer time horizon, checking your Systematic Investment Plan Statement every time the market gets bullish or bearish is not a smart move. Let the funds be and you will be better off in the long run. 8. Before you put in all your money together, think of what your position will be a few months or even a few years down the line and then make an informed decision. Thus, even though SIPs have tremendous growth potential, you must be aware of the mistakes that investors usually make that results in them losing out on a lot of money. In this light, an SIP calculation done beforehand can be of great help! Be informed, and understand about gaining better returns through Systematic Investment Plans, IndiaBulls.